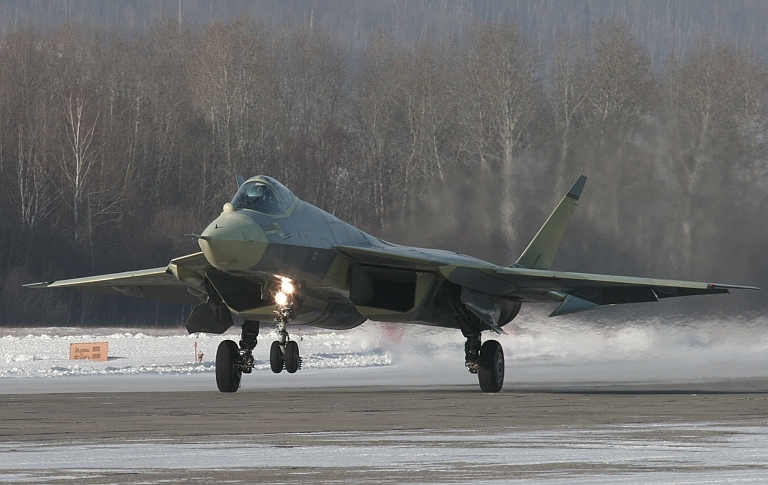 First prototype of the PAK-FA during an early test flight, January 2010. 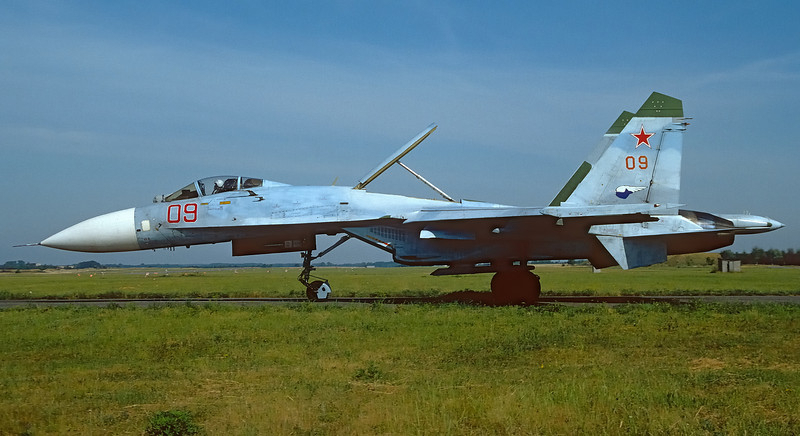 Intended to replace the Flanker series, the PAK-FA improves upon the superlative aerodynamic and kinematic performance of the Flanker, but adds competitive Very Low Observable capability, until recently unique to United States designs (Sukhoi image). 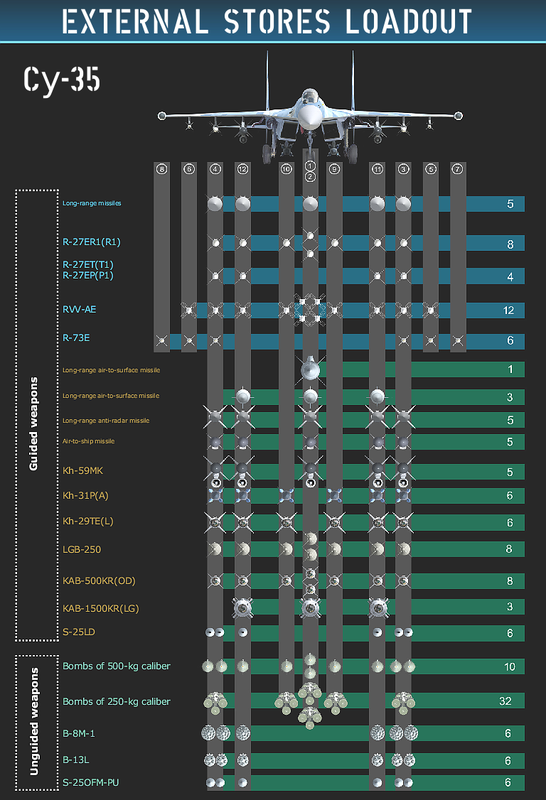 The emergence of the Russian Sukhoi T-50 / PAK-FA (Перспективный Авиационный Комплекс Фронтовой Авиации), the intended replacement for the T-10 Flanker series, marks the end of the United States' quarter century long monopoly on the design of Very Low Observable (VLO) or stealth aircraft. Designed to compete against the F-22 in traditional Beyond Visual Range (BVR) and Within Visual Range (WVR) air combat, the PAK-FA shares all of the key fifth generation attributes until now unique to the F-22 - stealth, supersonic cruise, thrust vectoring, highly integrated avionics and a powerful suite of active and passive sensors. While the PAK-FA firmly qualifies as a fifth generation design, it has two further attributes absent in the extant F-22 design. The first is extreme agility, resulting from advanced aerodynamic design, exceptional thrust/weight ratio performance and three dimensional thrust vectoring integrated with an advanced digital flight control system. 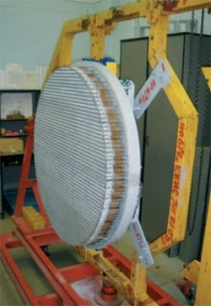 The second attribute is exceptional combat persistence, the result of a 25,000 lb internal fuel load. 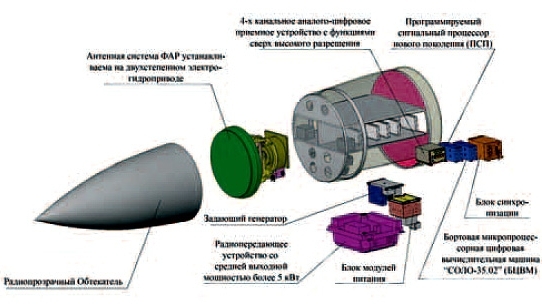 The internal and external weapon payload are likely to be somewhat larger, though comparable to those of the F-22A. 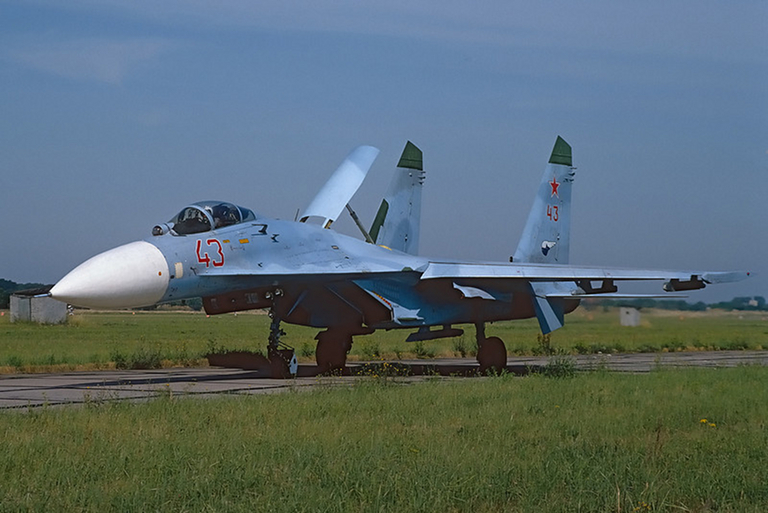 The new Su-35S is labelled a “4++ Generation” derivative of the baseline Su-27S Flanker B. It is a comprehensive redesign of the aircraft's systems, and employs a supercruise capable 117S variant engine. Depicted the second prototype during flight test. The Su-35S is expected to be the last Flanker variant to be mass produced before the PAK-FA enters full rate production (KnAAPO image). Sukhoi's T-10 Flanker family of combat aircraft is without doubt the outstanding design in the final generation of Soviet Cold War era systems. 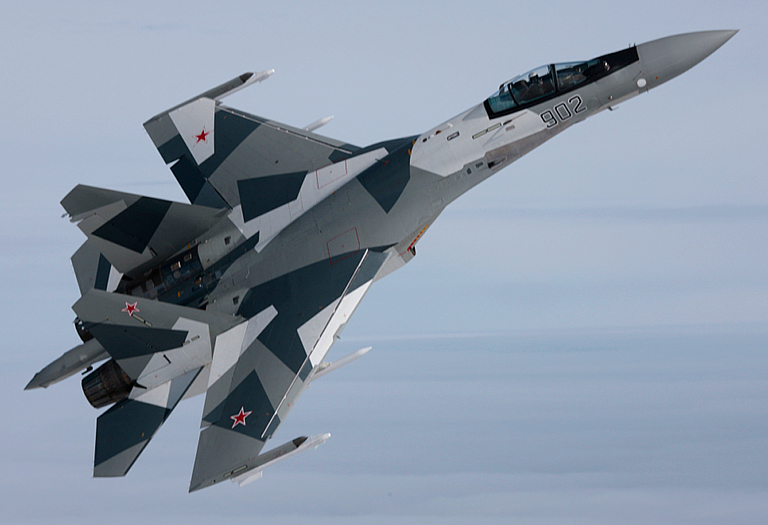 Since the fall of the USSR, the Flanker has continued to evolve and is now by far the leading Russian military technology export. 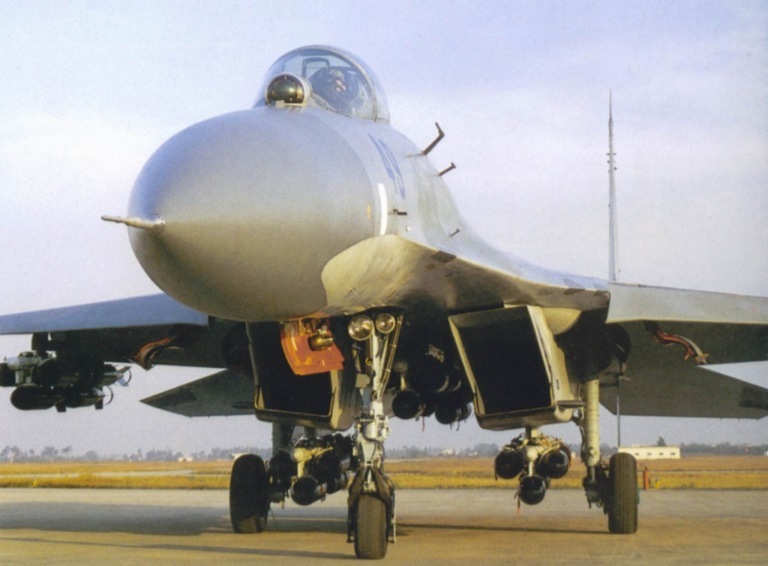 The Flanker has been exported globally, and the Asia-Pacific now boasts the world's largest inventory of these versatile and highly capable combat aircraft. 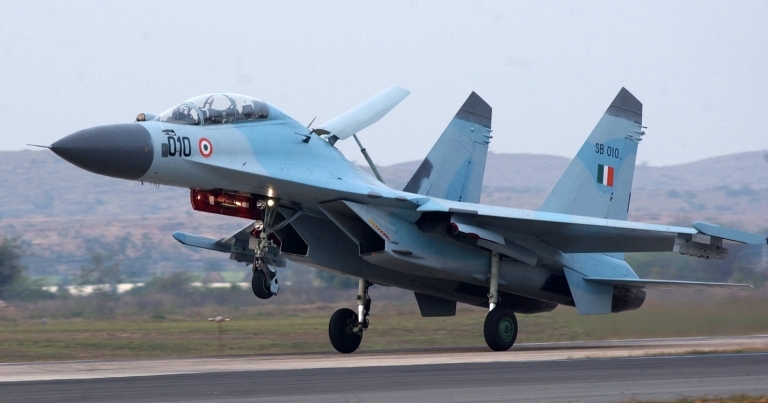 China, India, Vietnam, Indonesia, Malaysia now operate or have ordered variants of the Flanker. Reacting to the proliferation of the Flanker, Japan is seeking to acquire the F-22A Raptor. South Korean public debate shows an increasing interest in acquiring the F-22A, for the same reasons Japan seeks it. 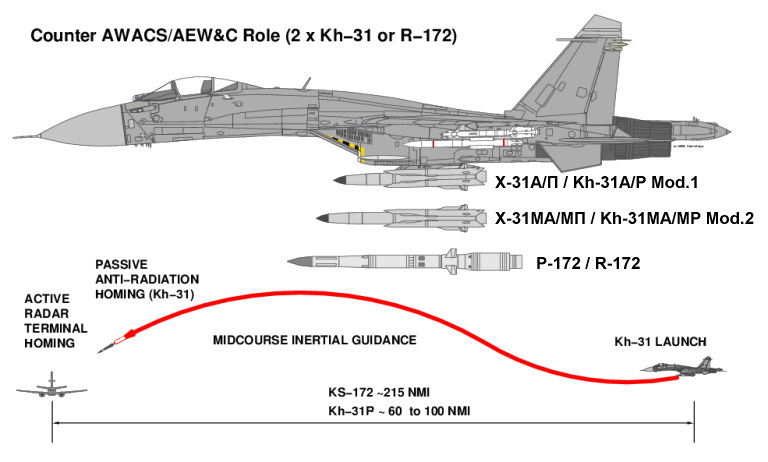 Australia is however pursuing the opposite path in its planning for the future region, acquiring 'interim' F/A-18F Super Hornets, and seeking the Joint Strike Fighter long term, neither of which are competitive against advanced Flanker variants. This website will post a selection of relevant articles, submissions and papers . Mar 2009 When America’s Stealth Monopoly Ends, What's Next? 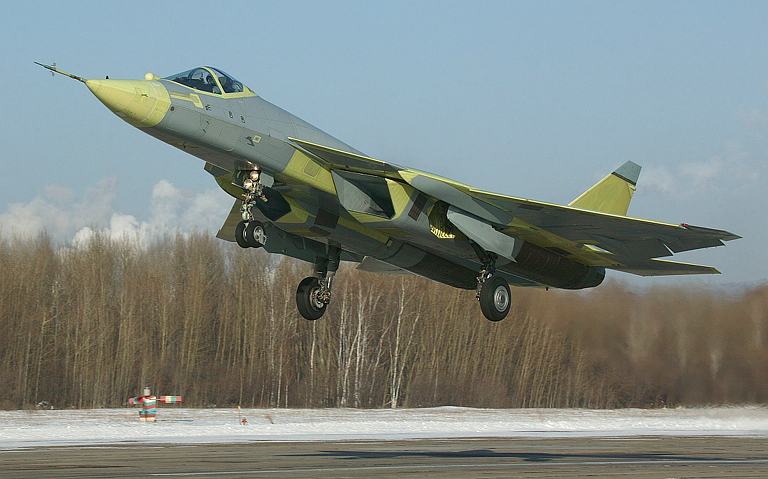 First prototype of the PAK-FA, B/N 51, during an early test flights, January and February 2010 (Sukhoi images). Indian AF Su-30K during the Cope India exercise. The Flankers soundly defeated US Air Force F-15Cs during this exercise, exploiting not only superior BVR radar/missile capabilities, but also the TKS-2 datalink, used to network flights of Flankers (US Air Force image). 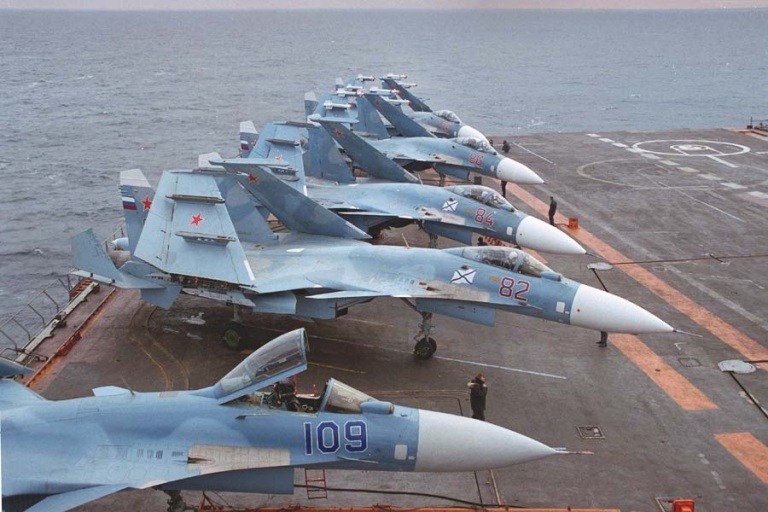 Russian Navy Su-33 (formerly Su-27K) in operational service. 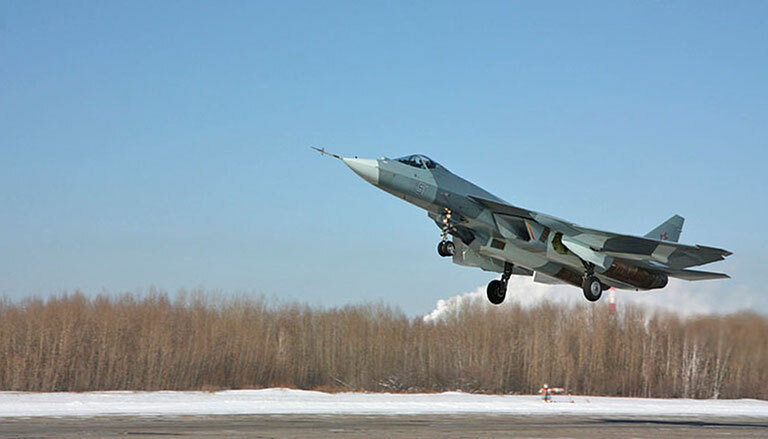 The PLA-N has ordered its first Su-33s, aiming to acquire up to 50 to equip the Varyag CVA (KnAAPO Image). An Su-27K prototype performs a dry hookup during buddy refuelling trials using the UPAZ-1A Sakhalin series centreline refuelling store. Most late build Flankers are equipped with a retractable aerial refuelling probe and floodlights (RuAF photo). Above, below: Early model Russian Air Force Su-27S Flanker B (© 2010, Jeroen Oude Wolbers). 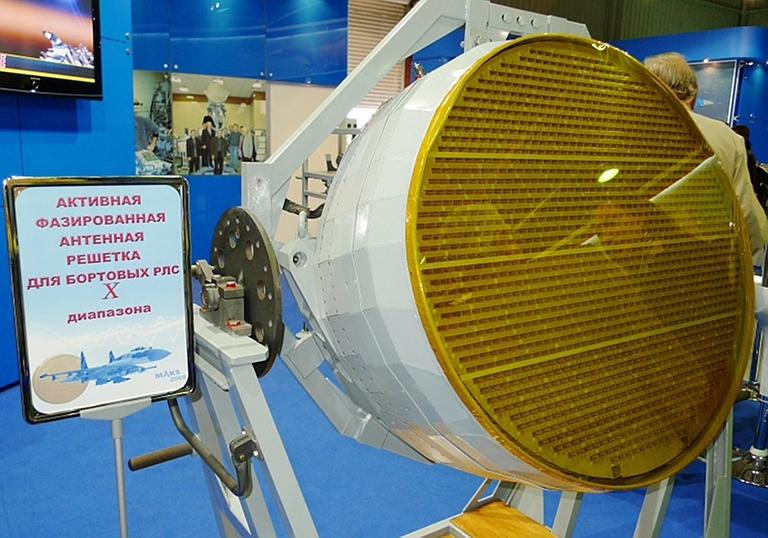 Tikhomirov NIIP AESA on display at MAKS 2009. 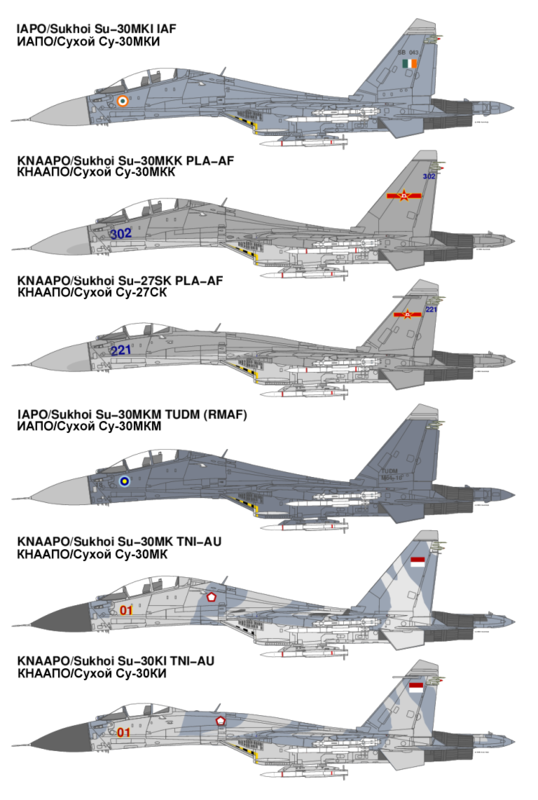 Variants of this design will be fitted to the PAK-FA series and late models of the Flanker (© 2009, Miroslav Gyűrösi). 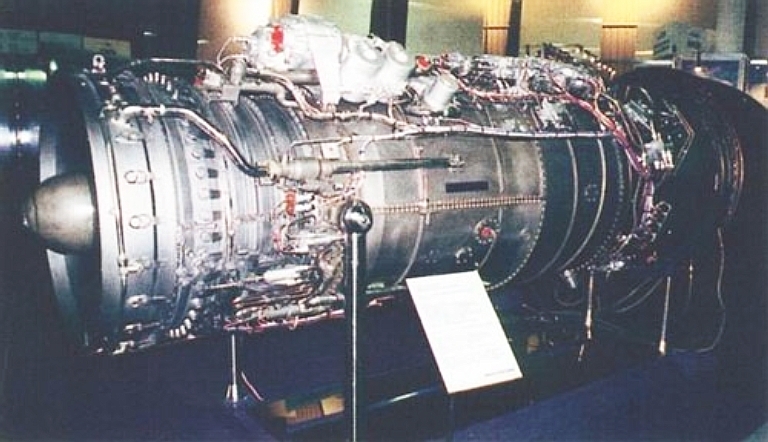 A derated AL-41F supersonic cruise engine has been trialled in an Su-27S since 2004.